I love grilling fruit. The natural sweetness creates a caramelized crust while slightly softening the texture of the fruit. Stone fruits in particular work very well. And since I just bought a bunch of white nectarines, I decided to have some fun with them and make sweet and savory appetizers. I chose nectarines that were ripe but still a little firm, and threw them briefly on the grill. I wanted to make sure they didn't become watery and mushy. 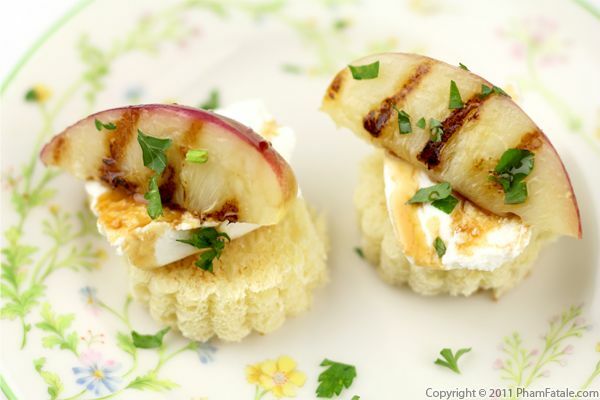 Fruity, sweet flavors pair incredibly well with goat cheese, so I nestled the grilled nectarine wedges on thin slices of chèvre and a slightly toasted brioche. 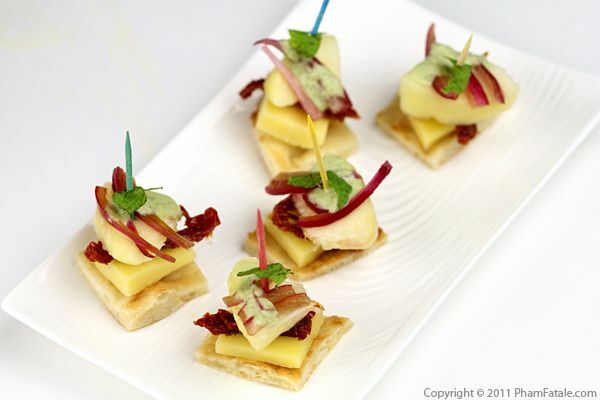 To finish the appetizers, I drizzled the nectarines with date syrup and added a sprinkle of finely chopped garlic chives and flat-leaf parsley. 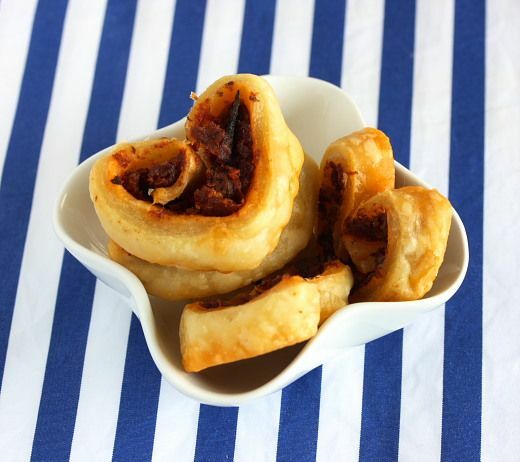 They're very easy to assemble and would make beautiful appetizers for your next summer party! 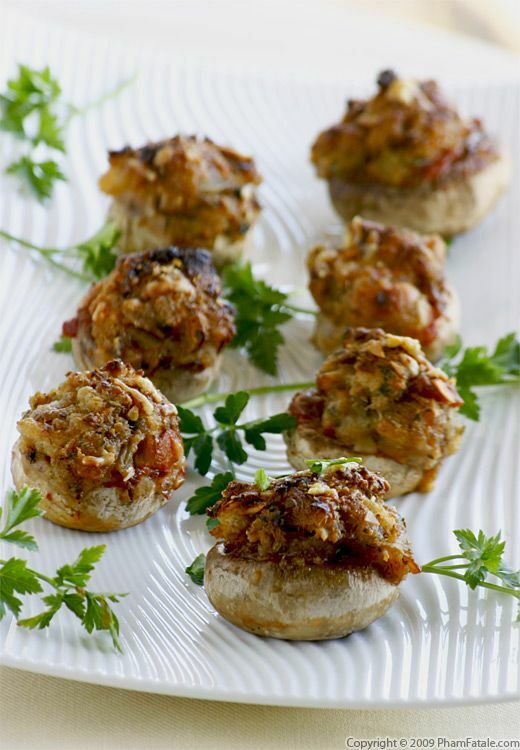 Making stuffed mushrooms is a great way to put stale bread to use. I served soup the other night and we had 2 leftover rolls, so I decided to make a plate of these savory treats. To start, I sautéed a few vegetables, including zucchini, bell peppers, celery and carrots. You can use whatever you want, but it's a good idea to choose colorful ingredients. Once the vegetables were cooked, I added the bread, a little vegetable broth and fromage blanc. 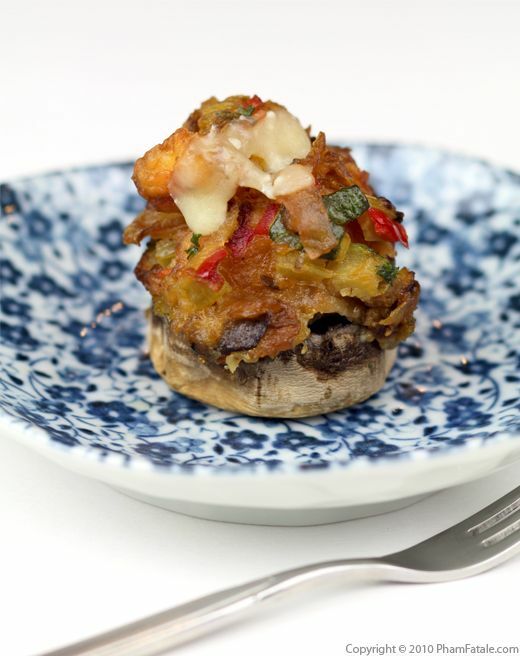 In case you were wondering, the fromage blanc helps keep the top moist even after the stuffed mushrooms are baked. To complete the dish, I topped the mushrooms with sharp Cheddar cheese. I didn't add any additional spices, because the bread was already studded with chiles. Otherwise, a little heat is a nice touch to balance the flavor. One final bit of advice: make a bunch of these. They go fast!